If you’ve ever bought the Breathometer Original or the Breathometer Breeze, you're entitled to a full refund as part of a settlement with the Federal Trade Commission (FTC) due to charges of false or unsubstantiated claims. The refund claim forms will soon be online at www.breathometer.com. The FTC also ordered the company, including its founder and chief executive officer Charles Michael Yim, to stop advertising or marketing breathalyzer products as accurate unless such a claim is backed by scientific proof. According to the FTC complaint, both the Breathometer Original and Breathometer Breeze never underwent accuracy testing. The manufacturers also allegedly knew that the Breeze regularly reported lower blood alcohol content (BAC) levels and that, despite this, they did not inform their customers about it and continued to advertise the product as an accurate measurement tool. Breathometer had been claiming that the Original and Breeze went through “government-lab grade testing,” and that the Breeze was a “law-enforcement grade product.” Both claims have been debunked by the FTC. In its press statement, FTC Bureau of Consumer Protection Director Jessica Rich said that exaggerated claims of accuracy deceive people and are dangerous because people rely on the Breathometer to help them decide whether or not it is okay to drive. The FTC complaint notes that sales of the Original and Breeze have reached $5.1 million. 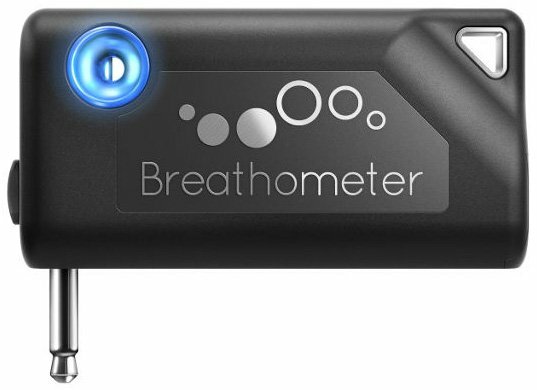 In a blog post, Breathometer said that it stopped manufacturing the Original and the Breeze in 2015, even before the FTC began its investigation. The company also said that it decided to settle so that it can focus more on its mission of building a digital health platform powered by breath analysis to help improve people’s lives. The Breathometer Original, launched in 2013 with a retail price of $50, is a small device about the size of a keychain that plugs into your phone’s audio jack. The Breathometer Breeze, on the other hand, sold for $100 and uses a Bluetooth connection to your phone. To measure your blood’s alcohol level (BAC), you blow into the Breathometer. After 5 seconds, its companion app then shows your BAC reading on your smartphone and even gives you the estimated time for your BAC level to return to zero. If your BAC level goes beyond the allowed limit of 0.08 percent, the app shows you public transportation and taxi options in your area so that you don’t have to drive under the influence of alcohol. It also offers nearby restaurant options, in case you’d prefer to stay for a while and eat while sobering up. If you’re looking for an alternative blood alcohol measuring device, check out the BACtrack breathalyzer, which costs at $49.99 on Amazon. BACtrack is also developing a wearable, called BACtrack Skyn, that continually monitors blood-alcohol levels.